The Surface is simply a controller for the MixRack. It also has an audio rack built into it to conveniently provide local inputs and outputs at the mix position. 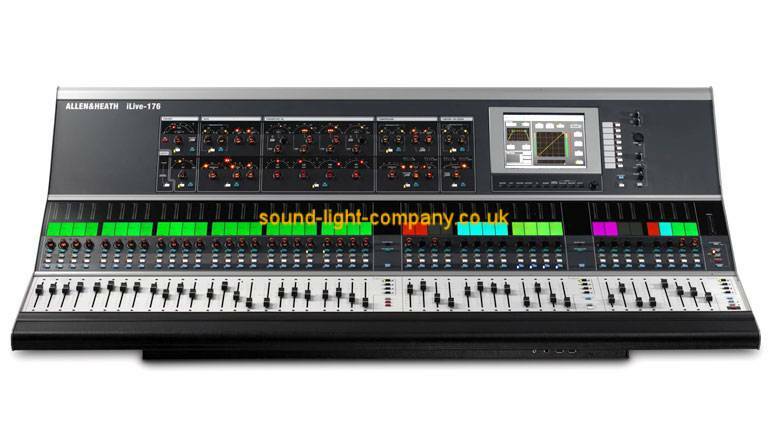 It features a large analogue style, one control per function processing block, TouchScreen, name and colour virtual 'write-on' strip, banks of motorised faders with independent layers, SoftKeys, built-in headphones, local monitor and talkback. The flagship iLive-176 is the biggest of the modular series and allows a variety of audio I/O modules, network formats and redundant power supply options, and is shipped in a touring flight case.